Seaborne Airlines, a regional carrier based in St. Croix, USVI, has announced new non-stop service from Luis Muñoz Marín Airport in San Juan, PR (SJU) to three new airports in the Caribbean effective April 1, 2013 – Melville Hall Airport in Dominica (DOM), the Aime Césaire Airport de Fort-de-France in Martinique (FDF) and the Pointe-à-Pitre International Airport in Guadeloupe (PTP). All three routes will be flown with the 34-seat Saab turboprop. The Saab operates with two pilots, a flight attendant, in-flight service and a lavatory. With the addition of these three routes, Seaborne will operate more than 625 weekly departures to eight stations from San Juan – Henry E. Rohlsen Airport in St. Croix, USVI (STX); Cyril E. King Airport in St. Thomas, USVI (STT); Terrance B. Lettsome International Airport in Beef Island Tortola, BVI (EIS); Virgin Gorda Airport in Virgin Gorda, BVI (VIJ) and the Antonio Rivera Rodríguez Airport in Vieques, Puerto Rico (VQS). 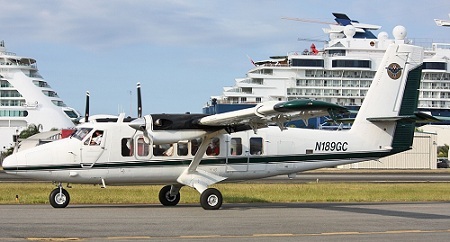 The new Saab aircraft will operate to the new markets and to St. Croix, St. Thomas and Tortola, in tandem with 17-seat Twin Otters. And effective Monday, February 18, 2013, Seaborne launched its first interline arrangement with a major carrier – American Airlines. Baggage will transfer between Seaborne and American on the ramp at San Juan, as opposed to having to be rechecked with the other carrier, and Seaborn said it will soon be issuing boarding passes on American flights. Seaborne also recently relocated at Luis Muñoz Marín International Airport to be close to American in Concourse D. Also, all Seaborne flights will soon be displayed and sold on AA.com as part of this new arrangement, according to the company. Travelers to Puerto Rico will also have access to Seaborne’s premium lounge at San Juan’s Luis Muñoz Marín International Airport.